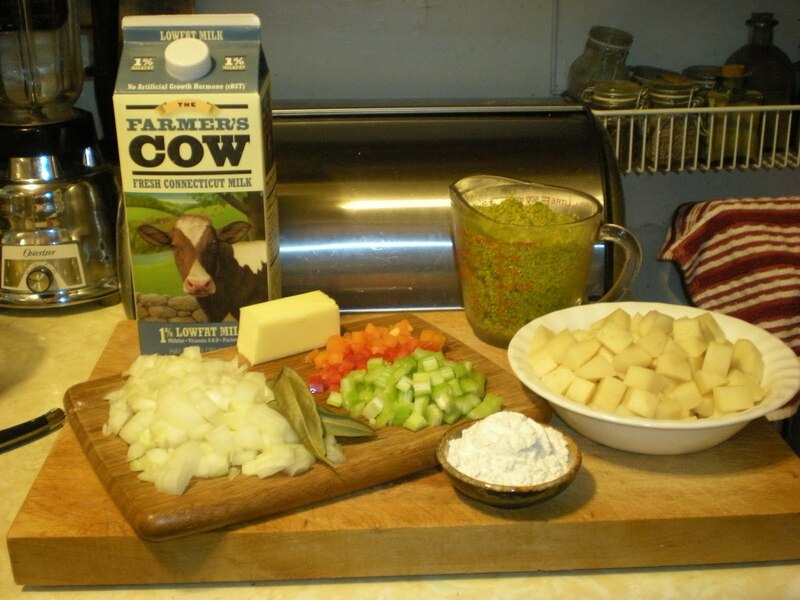 I really like to make corn chowder, since it can be adapted to a lighter, vegetarian meal for us in the summertime. I ran across a recipe in Russ Cohen's book "Wild Plants I have Known . . .And Eaten" for a similar chowder using the male parts of the flower spike on cattails. It sounded interesting, so I made it, using my method and vegetarian ingredients. This soup is so tasty, Gillian will eat a bowl and a half without hesitation. Robert loves it, and so do I. I don't use heavy cream, and substitute vegetable broth for the chicken broth. 1. Sautée the onion in the butter until it is soft and translucent. 2. Add the flour and stir, cooking about 1 minute. 3. Pour in the vegetable broth and milk, and slowly bring the mixture up to a boil, stirring often. 4. 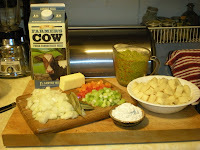 Add the remaining ingredients, and reduce the chowder to a simmer. Cook 10-15 minutes, stirring often, until the potatoes are tender. Remove the bay laurel leaves to serve. 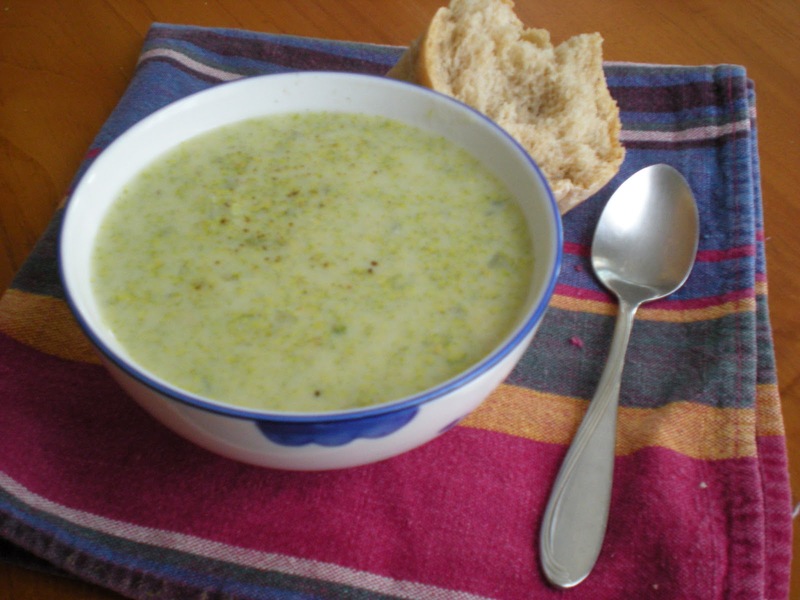 Thanks for posting your recipe~ This looks very tasty! We'll have to try it when our cattails are ready (I think we're a month behind your area for harvesting). First of the season . . .